YOUR COMFORT IS PRIORITY NUMBER ONE ! Choose either residential, commercial or industrial below to explore our services. To head off problems, improve energy efficiency and save money, it pays to know the steps you can take yourself and when to call for assistance. These tips will bring you up to speed. 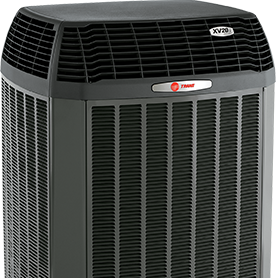 Ferrara's Heating & Air Conditioning is proud to be an independent dealer of reliable, energy efficient Trane Heating & Air Conditioning products. Browse our industry-leading lineup. Watch some videos of our team members in the field showing you how to avoid heating and cooling headaches for your family and friends. Welcome to family-owned and operated Ferrara’s Heating & Air Conditioning. From routine repairs and maintenance calls to complicated installations, our Lufkin-based service team covers the entire East Texas area giving our customers the air conditioning and heating solutions they need. It’s been that way from the start, as we strive to provide homeowners and businesses with the same thing we would want: friendly, dependable service at a fair price. At Ferrara’s, connecting our customers with long-lasting comfort solutions and the personal attention of a good neighbor is how we’ve built a great reputation. The simple fact is, we take pleasure in making your indoor environment consistently comfortable all year round. As one of the top HVAC contractors in Lufkin, Texas, we’ve been installing, repairing, and maintaining air conditioning and heating systems since way back in 1982. We also manufacture sheet metal for duct systems in house – one of the few A/C companies left that invests in this important quality control feature for our customers. From homeowners and businesses to libraries, schools and healthcare facilities, Ferrara’s friendly team of experienced professionals makes the difference, earning our customers’ loyalty with a sincere passion for customer service. We want your comfort level in doing business with us to be just as high as your indoor comfort after a job well done. Ferrara’s Heating & Air Conditioning has been recognized as an independent Trane Comfort Specialist™ Dealer, an honor earned by only a select group that meet Trane’s highest standards for customer satisfaction and technical expertise. It’s your assurance that we offer the finest heating and cooling products installed and serviced with the skill and attention to excellence that creates peak performance and value for every budget. Try us once and you’ll trust us always. Responsive, respectful treatment of our customers is a Ferrara’s Heating & Air Conditioning way of life. Reliable Service. Expert Knowledge. Quality Products. For heating and cooling services in Lufkin, Texas that you can count on, call Ferrara’s first at 936.639.5259.